The death of a loved one, whether sudden or expected, still leaves a deep sense of shock, loss and bewilderment. We, in the days immediately after the death try to carry out the wishes of our deceased loved one, who now rests in the loving arms of Jesus in Heaven. There is always a need to mark their lives and our love for them. This is done in many different ways such as purchasing a stone for the grave or planting trees or roses. These memorials are very important but do need constant attention to keep them in a condition that befits the loving memory. 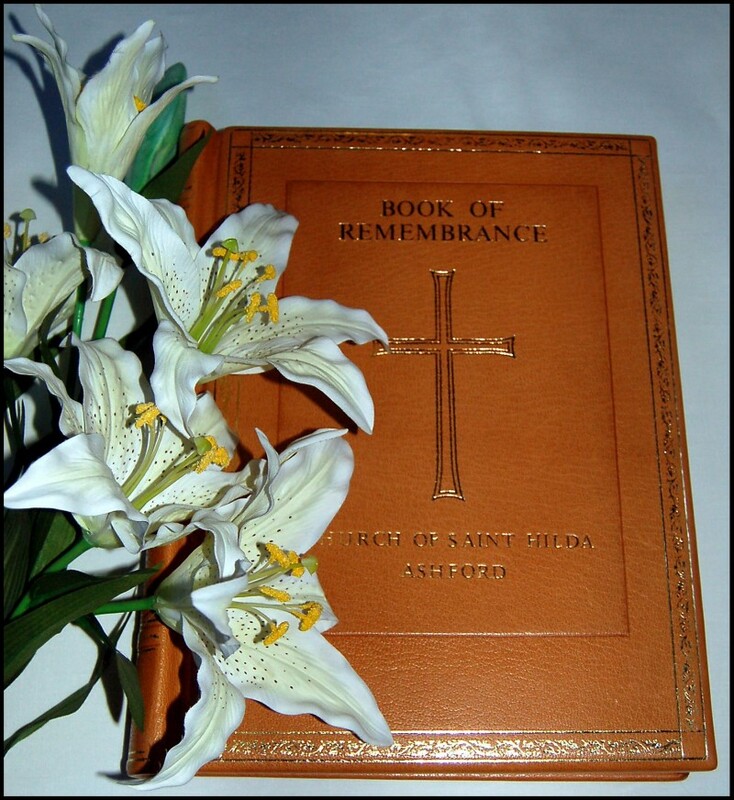 St Hilda’s Books of Remembrance are displayed within the church in an oak and glass cabinet. Each page being for a different day of the year. The page being turned daily to show, on their anniversary, the names of those who are now in paradise with Our Lord. The names then form part of the daily prayer life of the church when we remember, by name, those whose anniversaries are within that week. It can also be a focus for the family who may wish to spend some quiet time within the church rather than going to the local crematorium or cemetery.